The Texas Tribune recently published a six-part series examining the plight of mentally ill defendants in the Texas criminal justice system. The series focused particularly on death penalty cases, including that of Andre Thomas, a man with a long history of mental illness. He pulled his own eye out in 2004, and later explained that he did it because he kept seeing his wife, whom he killed along with his children just days before. Thomas is among thousands of mentally ill inmates in the Texas system, which has seen years of budget cuts resulting in the reduction of programs. According to the Texas Department of Criminal Justice, more than 20% of the 290 inmates on Texas death row are diagnosed with some type of mental illness. One former Texas death row inmate, Anthony Graves, recently told a U.S. Congressional committee that he lived under the "worst conditions imaginable" when he was on death row, which is a form of solitary confinement. He said the cells were filthy and the food contained rodent waste. Inmates with mental illness frequently deteriorated while on death row; some inmates set themselves on fire or smeared feces on their faces. Graves was later cleared of all charges and freed from death row, but said he still has not recovered from the experience. An average of 8,500 Texas prison inmates considered dangerous or troublesome are housed in administrative segregation, another form of solitary confinement, typically for 3 years. Most have no access to rehabilitative programs. Not all mentally ill murder defendants end up like Andre Thomas. Deanna Laney, a white housewife from Smith County, Texas, stoned her children in 2003, killing two of them and leaving her 14-month-old son permanently maimed. She said God told her to kill the children. She was found not guilty by reason of insanity and was transferred to a state mental hospital. She was released in 2012, but remains under court supervision. (B. Grissom, "Andre Thomas: Struggling to Maintain Sanity in Prison" and "Andre Thomas: Questions of Competence," Texas Tribune, February 26, 2013, and earlier.) See Mental Illness and Arbitrariness. Introducing a new blog feature...the TOC of law and law-related behavioral science journals. Will try for a while to see if folks find the feature useful...as many of the articles listed most likely will not be specifically related to Atkins issues. > proceedings are undertaken and whether they ultimately lead to justice. > children's false denials compared with other types of reports. > to evaluate children's statements are discussed. > 1.5 and 3.0. They have also proposed that it is "mathematically sound"
> they testify, a practice that is invaluable to the trier of fact. > classifications compared with individual postdictors. > hierarchical model (interpersonal, affective, lifestyle, antisocial). > our understanding of criminal behavior. > predicted on the basis of the same risk factors for women as for men. > male and female offenders and their relevance in predicting recidivism. > actually has clinical relevance. > violence risk assessment and in other fields. > suggested that suspect identifications made by initial nonchoosers (cf. > children's testimony (ages 5-18) in 80 felony child sexual abuse cases. > more direct or suggestive questions. > by differences in the sources and target of individual criminal actions. > Deception evolved as a fundamental aspect of human social interaction. > of these cues explained unique variance in predicting pleader sincerity. > people's ability to resist subsequent misinformation about that face. > (foil faces did not match the race of the target face; Experiment 2). > particularly) for difficult or high risk offenders. > important role in the drug-crime relationship. > the results were not straightforward. > only are comparable to those based on file and interview. > contact with trauma-exposed clients on symptom levels over time. > time in PTSD, depression, functional impairment, and levels of exposure. > depression, and functional impairment and level of exposure over time. > years, but such methods are not uncontroversial. A "core controversy"
> estimate in their decision to civilly commit a particular respondent. 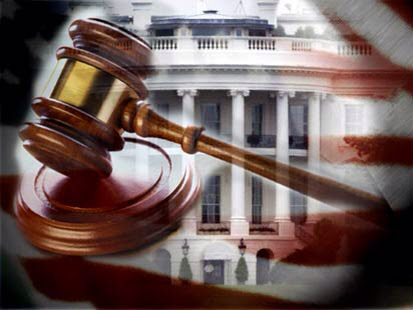 > prior criminal histories as well as a record of supervision violations. Symposium: "Law & Policy of the Developing Brain: Neuroscience from Womb to Death"
The Hastings Law Journal has published a symposium issue, entitled "Law & Policy of the Developing Brain: Neuroscience from Womb to Death." You can find links here. Warren Hill, an intellectually disabled prisoner, has been spared the death chamber just 30 minutes before he was due to die by lethal injection in Georgia despite a US supreme court ban on executions of people with learning difficulties. Hill, 53, had already taken an oral sedative of Ativan to help calm himself for the gurney before he learned of the stay of execution from the federal appeals court for the 11th circuit. The court agreed to consider the issue of his intellectual disabilities in the light of a 2002 US supreme court ruling that prohibits executions of "mentally retarded" prisoners as a breach of the constitutional safeguard against cruel and unusual punishment. 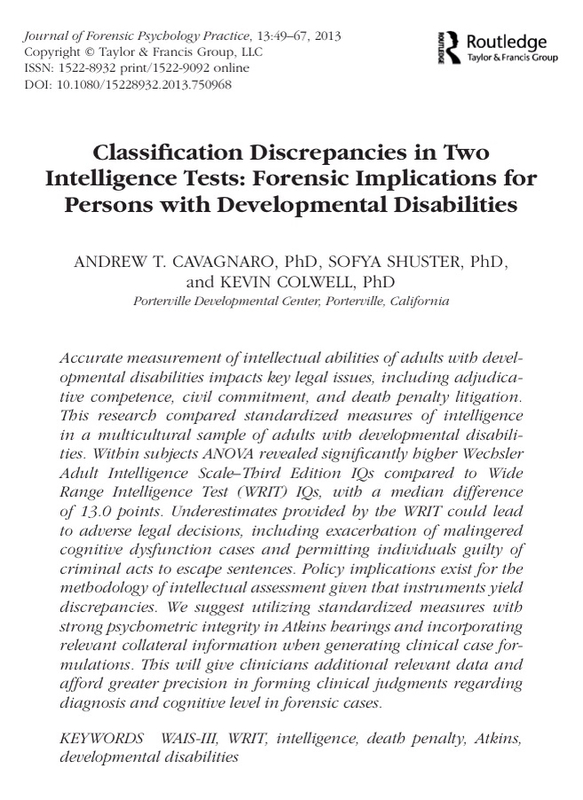 Georgia is the only state in the union that insists prisoners must prove "beyond a reasonable doubt" that they have learning difficulties – a standard that experts say is almost impossible to achieve. Hill had been scheduled to be executed at 7pm at the same prison where Troy Davis was put to death in September 2011 amid massive international outcry. Davis's death, despite substantial evidence of his innocence, prompted dramatic scenes at the prison where hundreds of protesters were confronted by armed Swat police armed with a police helicopter flying overhead. Hill's scheduled execution attracted a comparatively small response, with few protesters and campaigners present in the prison grounds as the appointed hour approached. This was the second time in seven months that Hill has come close to the death chamber: last July he was spared by just 90 minutes and the experience was repeated on Tuesday night with just 30 minutes to go. Behind the scenes, last-ditch efforts to stave off the sentence have now mostly been exhausted. Former president Jimmy Carter repeated his appeal for a postponement, saying that "Georgia should not violate its own prohibition against executing individuals with seriously diminished capacity." The European Union also made formal protests through the British and Irish consulates in Atlanta focusing on Hill's disabilities. "This case has raised attention around the world, with particular concern around Mr Hill's intellectual disability, said Annabelle Malins, the British consul general. In the end, two courts stepped in to stop the execution. 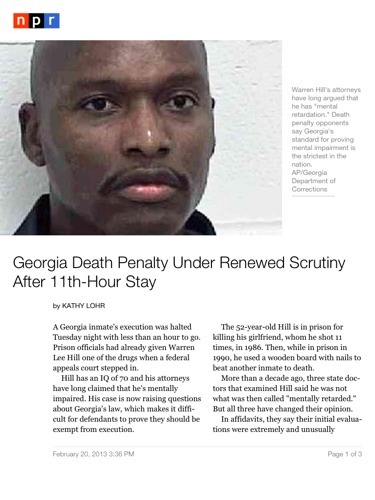 While the 11th circuit of the federal courts wanted to take a look at the issue of Hill's intellectual disabilities, the Georgia appeal court also wanted to stave off the death penalty to give it time to consider the process that would have been used to kill the prisoner. Hill's attorney, Brian Kammer, issued a statement after the stay: "All the doctors who have examined Mr. Hill are unanimous in their diagnosis of mental retardation, so there is no question that his execution would have been in violation of the US supreme court's 2002 ruling in Atkins v Virginia." 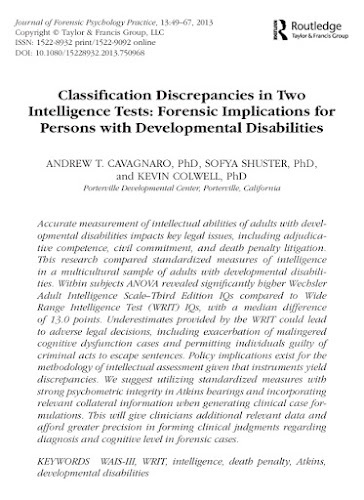 "The state of Georgia remains an extreme outlier in requiring that defendants prove they have mental retardation 'beyond a reasonable doubt'. This is the strictest standard in any jurisdiction in the nation. Even Warren Hill, a man with an IQ of 70 who is diagnosed as mentally retarded by every doctor who has examined him, found it impossible to meet this standard of proof." Since last July the state has opted to use just one massive dose of the sedative pentobarbital as its lethal injection, instead of a cocktail of three different drugs. The triple injection had become problematic because Georgia was running out of the drugs in question. We are pleased to deliver your requested table of contents alert for Journal of Quantitative Criminology. Volume 29 Number 1 is now available on SpringerLink.